NASA Earth Observatory image by Joshua Stevens, using MODIS data from LANCE/EOSDIS Rapid Response. Caption by Adam Voiland. Typhoon Talim—the Northwest Pacific Basin’s sixth typhoon of the year—is expected to hit Japan later this week. The Moderate Resolution Imaging Spectroradiometer (MODIS) on NASA’s Terra satellite captured this image of Typhoon Talim in the East China Sea at 10:15 a.m. local time (02:15 Universal Time) on September 14, 2017. 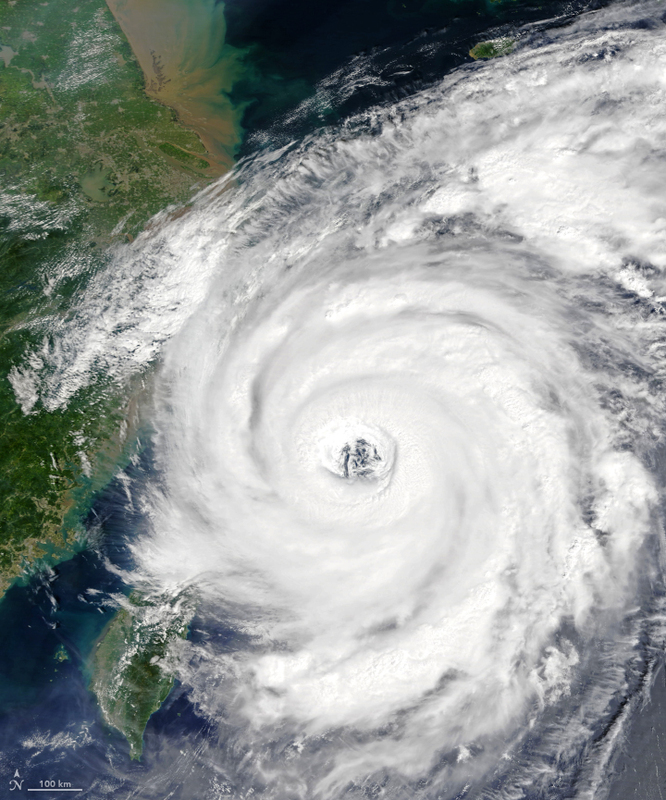 At that time, Typhoon Talim had maximum sustained winds of 115 knots (130 miles or 210 kilometers per hour)—equivalent to a category 4 hurricane—as it moved north along the coast of China. Forecasters expected the storm to curve to the northeast and weaken a bit before making landfall late on September 16 on the island of Kyushu, Japan. 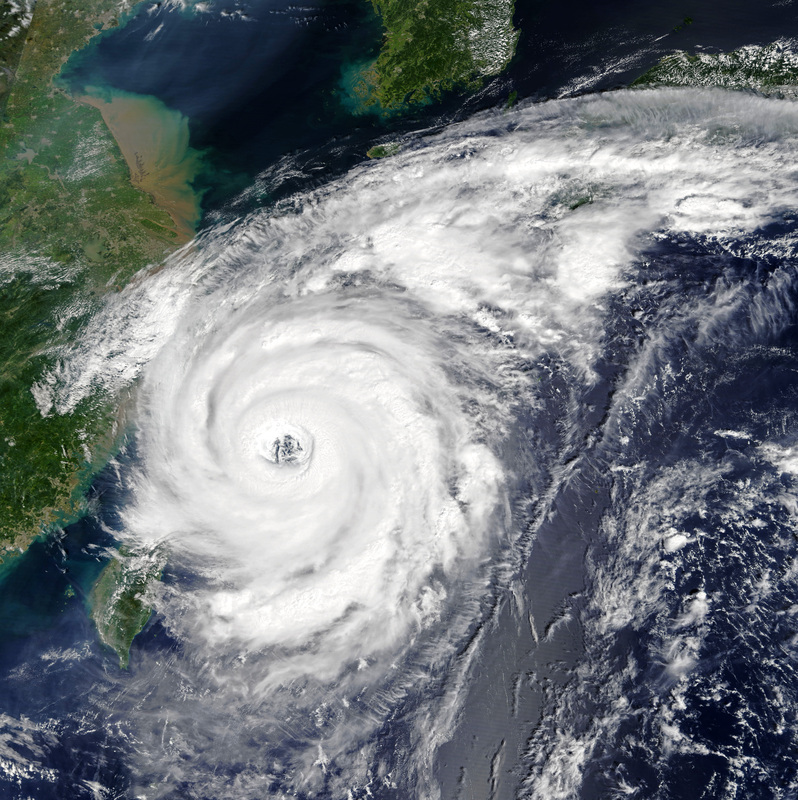 More tropical cyclones spin up each year in the Northwest Pacific than any other ocean basin. On average, the Northwest Pacific sees 17 typhoons each year, according to statistics maintained by the National Oceanic and Atmospheric Administration. For comparison, the Atlantic Basin sees an average of six hurricanes each year. The high activity in the Northwest Pacific is driven in part by the fact that it tends to have large areas of warm water in comparison to other ocean basins. Warm ocean water, along with low wind shear, are two key ingredients that fuel and sustain hurricanes. AAP (2017, September 13) Japanese islands hit as Talim intensifies. Accessed September 15, 2017. Japan Meteorological Agency TY 1718 (Talim). Accessed September 15, 2017. Joint Typhoon Warning Center Current Northwest Pacific/North Indian Ocean* Tropical Systems. Accessed September 15, 2017. NOAA Talim. Accessed September 15, 2017.